Wash all vegetables and pay dry. Cut Brussels Sprouts in half. 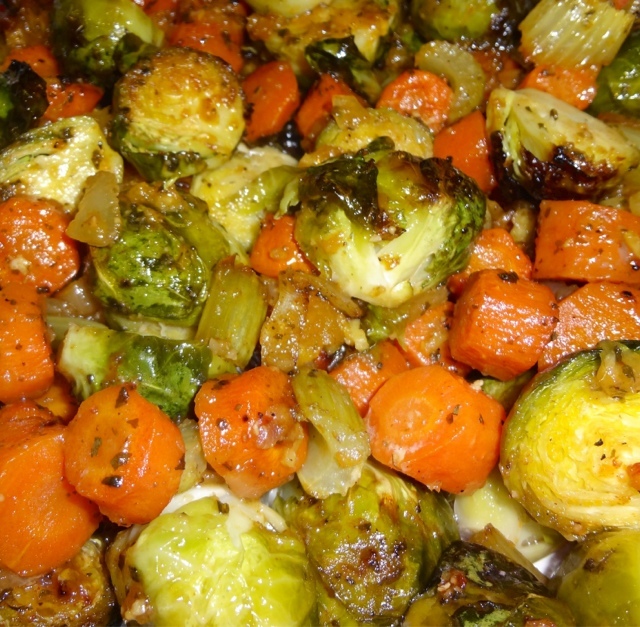 Toss all vegetables in Olive Oil/Balsamic Vinegar and spread on cookie sheet careful not to crowd them. Add Sea Salt/Cracked Pepper and bake on high 400 degrees for 30 minutes until caramelized and golden brown.